You have all seen these hairy creatures on so many catwalks and right to the streets because your next door neighbors have a few species on display every season. But are fur shoes something we need to have in our closets? I would say no! But do we love them? Or do we hate fur shoes? Surely it is not all black and white, so hear me out here on this one. I like fur shoes, but only if it is a boot.Easy as that. Fur slippers? Nee. They are weird, not very practical and not flattering at all. They look like you forgot to wax that part of your feet, no offence to those wearing them. I can’t imagine how they can look after a long day of walking on some dusty sidewalks. What do you do then? Bath it? Those GUCCI hairy loafers? Nope, I hate them. I really think that those are some of the most ugliest shoes I have ever seen. They look like a cat slept into your slippers and you just stepped on it and walked out of the house. Why would you do that? I really do not care that celebrities boost their trendiness everywhere. I like following trends, but if there is something I really do not resonate with, I refuse to adopt it. I can’t just pretend for the sake of fashion. Just like I don’t like the Balenciaga Triple S sneakers. Fur boots? Yes, this might just work. From the loved to be hated UGG boots with fur details to full fur boots, these can actually work into a stylish winter outfit. Warm tights, a sweater dress and a fur vest is all you need to get dresses for a cabana party on Christmas or New Year’s eve. I wear my fur boots really rare but I always match them to such a cozy look. Whether it is a knitted dress or a wool skirt, it will always be on the casual side. What are your thoughts on this trend? 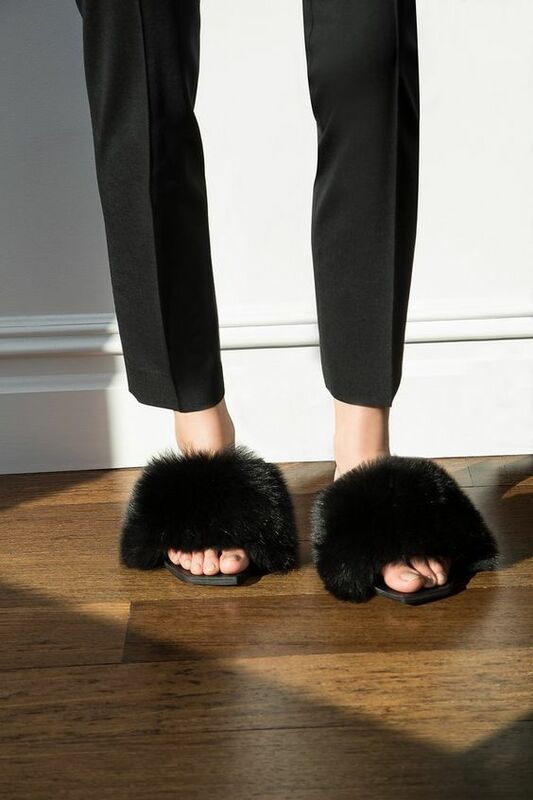 Love or hate fur shoes?